EISA Executive Director Dren Nupen was invited to sit on the South African Electoral Task Team which is headed by Chairperson Frederick van zyl Slabbert. EISA, supported by the Konrad Adenauer Stiftung Foundation and in association with the Electoral Task Team will be convening a roundtable to debate a new electoral system for South Africa on the 9th and 10th of September 2002. This will be an international event, bringing together African and international experts to present various options for debate. Thabo Mbeki has appointed a commission of review on the current electoral system to be headed by Frederick Van Zyl Slabbert. EISA is perfectly poised to facilitate a debate on the prospects for electoral reform in South Africa. 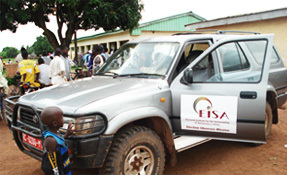 In 1998 EISA took the initiative and held a roundtable on electoral systems. The outcome of this roundtable was a submission of discussion papers by leading theorists with regards electoral system reform. EISA is planning to hold another roundtable in late 2002 where interested parties and specifically political parties can submit their opinion papers on the subject of electoral reform in South Africa. The 1993 Interim Constitution (which facilitated the 1994 democratic election) specified in detail the procedures to be used for the election of the national and provincial legislatures. This resulted in an electoral system that is almost purely proportional in that there is a nation wide district for the conversion of votes into seats facilitated by a large national assembly furthermore there is no electoral threshold. The system is laudable in that it makes for maximum proportionality, a factor that strengthens the democratisation process. The 1996 Constitution, however, only prescribes that the electoral system "results in general in proportional representation". Debate with regards to adjusting South Africa's electoral system surfaced after the 1999 election. The main area of contention has been the fact that Proportional Representation (PR) lessens accountability between representatives and their constituencies. This is compounded by the fact that South African party lists are closed. The anti-defection clause (prohibiting crossing of the parliamentary floor) has also been criticised and labelled undemocratic. The point of this clause is to ensure that parliamentary seats, which are party allocated, remain with the parties - it does however have the unfortunate effect of producing MP's who toe party lines rather than holding their allegiance to voters. Legislation that was passed in late 2001 allowing party defection at a local level in order to facilitate the Democratic Alliance split has signalled the need for this clause to be reviewed. Theorists advocate that democracies in transition have different requirements from electoral systems than democracies that are consolidating. It is argued that South Africa has successfully drawn its many players into its democratisation process and has significantly strengthened its ruling party in order to deal with programmes of social and economic reform - what is needed now is for democracy to be seen in motion in terms of public participation. Specialists in the field of electoral systems such as Arend Lijphart, Andrew Reynolds and Jorgen Elklit have put forward suggestions that a constituency element be implemented into the South African PR system whereby PR lists at a national level would be combined with either single or multi member constituencies. This would introduce a direct accountability element into the South African system while still maintaining its proportionally representative nature. The Konrad Adenauer Stiftung Foundation has long shown an interest in the electoral system debate in South Africa. In 1999 they funded Murray Faure's Occasional Paper entitled The Electoral Systems Issue in South African Politics - their support in this project will be invaluable.